As we enter the new year, we may be on the verge of a real turning point in feline welfare. Why? Because, at the start of 2016, a veterinary task force was formed with the goal of improving the lives of cats. 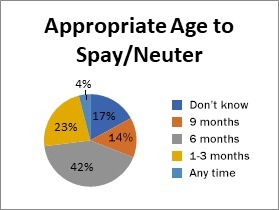 After a review of the currently available evidence for the optimal age for spaying or neutering cats, the task force called for cats to be fixed by five months of age. By the middle of 2017, all of the major national veterinary organizations had endorsed the statement the task force created. This is an exciting and game-changing endorsement. Now we just have to get the word out and make the recommendation a reality. Why did we start this Feline Fix by Five campaign, and why is it so important? Nearly a fifth of people simply don’t know when dogs or cats should be sterilized. Nearly as alarming is that 42% of people indicated 6 months (by which time cats can have already had a litter and be ready for the next). Worse yet, an additional 14% said 9 months or older. Overall, three quarters of respondents (from a sample of 3000) either did not know or thought that 6 months or later was fine. A 2011 update to this research found a similar information gap. 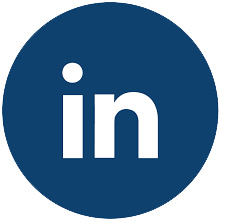 This widespread confusion regarding when to spay or neuter cats, in particular, led us at Marian’s Dream to ask if there might not be consensus among the veterinarians who have studied the issue. There are many reasons not to wait until first heat, including an increased risk of mammary gland cancer, development of unwelcome, hormone-related behaviors, and, of course, the risk of unwanted, unplanned litters. On January 15, 2016, a group of prominent veterinarians met at the North American Veterinary Community (NAVC) Conference in Orlando, Florida. This group included researchers, professors, and practitioners with a wide range of experience. The group, invited by Joan Miller, Chair of Outreach and Education at the Cat Fanciers’ Association, was sponsored by Marian’s Dream. This Task Force created a consensus document about best practices regarding spaying cats. potential decrease in behavioral problems linked with cat relinquishment. Current evidence does not support an increased risk for cats of complications or long-term adverse health effects with pediatric (6-14 weeks) or juvenile (>16 weeks) sterilization. Given the known benefits of sterilization and the lack of evidence for harm related to age at which the procedure is performed, the Veterinary Task Force on Feline Sterilization calls for veterinary practitioners and professional associations to recommend sterilization of cats by five months of age. This provides veterinary practitioners with a consistent message that may increase veterinary visits and spay/neuter compliance while reducing the risk of pet relinquishment and unwanted offspring. The professionals around the table were not acting officially on behalf of the organizations with which they worked—the American Veterinary Medical Association, the American Animal Hospital Association, the American Association of Feline Practitioners, the Winn Feline Foundation, the Catalyst Council, the Association of Shelter Veterinarians, the International Cat Association, and the Cat Fanciers’ Association. In fact, it would be another 18 months before all of these highly respected organizations endorsed the statement officially, with board approval. As of July, 2017, all had endorsed the consensus document. Now, for the first time, veterinarians can deliver a clear, simple message to their clients on the subject: fix your felines by five months. #felinefixbyfive #teamspayneuter Click To TweetNow, for the first time, veterinarians can deliver a clear, simple message to their clients on the subject: fix your felines by five months. People wanting to read more about this can go to www.felinefixbyfive.org and share the link with their veterinarians. Veterinarians who spay or neuter cats by five months can list their practice on the site so people can find them. We invite everyone to take part in this campaign in their home towns, shelters, rescue groups, and everywhere else – tweet, post, share, talk to friends and family. If we get the word out in 2018, we hope that, by 2020, 75% of people will know that the best time to Fix their Felines is between eight and twenty weeks!